Description: The major benefit of using polyurethane foam in roofing is that it is a thermal insulator and is highly water resistant. Like many of the great discoveries of the twentieth century, polyurethane foam appeared by chance. In 1937 Dr. Otto Bayer was looking for a new way to synthesize fibers for the textile market after the appearance of nylon. In addition, with these investigations, it was sought to find a new way of producing plastics much easier and with fewer by-products. Contrary to what was pursued with the investigations, the results did not give the expected result. No fibers were obtained, what was achieved was a foam that thanks to the formation of carbon dioxide as a byproduct formed pores in it. The years after the discovery of polyurethane foam, were dedicated to find applications where you could use this new material. Among which stood out on the one hand the thermal and acoustic insulation, boat and aircraft construction, prosthesis or shoe soles. It was not until the mid-1950s that the manufacturing process of these foams became industrialized and commercialization began. For the use of polyurethane foam as a thermal and acoustic insulator we will have to wait until the 60s when its characteristics were put in the foreground as an excellent thermal insulating material. In 1967, with the manufacture of blocks of rigid foam there is a great impulse for the widespread use of thermal insulation panels for polyurethane foam buildings. The use of this material as a thermal insulator has proven to be very effective due to its excellent behavior, preventing the loss of heat in the home, with consequent savings in the energy bill. The polyurethane foam can be used in different ways, either directly projecting it in the area we want to isolate, or using formed sheets or prefabricated panels. Depending on the way we use this insulation material your application will need some requirements or others. In the event that we decide to install polyurethane panels, the only requirement will be the previous cleaning of the surface that we want to insulate to ensure the correct thermal and acoustic insulation. If on the contrary we choose to project the polyurethane foam on the area that we want to thermally or acoustically insulate, in addition to cleaning it, we should not completely coat it with this insulating material, since once projected, its size increases from 2 to 5 times after a brief time frame. Once dry, the remaining that protrudes from the area that needs thermal insulation, can be easily cut with a cutter or other cutting instrument. It has very good thermal behavior supporting a wide variation of temperatures. Maximum insulation capacity with very little thickness. An insulation of 1 or 2 cm is comparable to a stone wall half a meter thick. Being a foam, it is a lightweight material , has little weight, and is especially recommended for use as thermal insulation on roofs. Water-resistant and fire-retardant material , prevents the passage of moisture inside the house so it can be used in outdoor areas of the house and protects from fire. If used in the form of panels, these are easily handled and cut and perforated easily. Easy installation . The polyurethane foam is installed simply and quickly. It can be used in areas of difficult geometry . 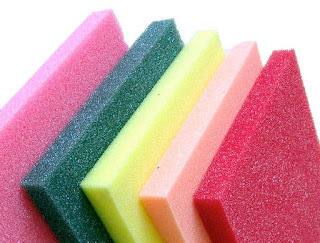 The polyurethane foam is attached to all types of surfaces. Extends the life of the building and achieves energy savings. The installation of any thermal insulation makes homes gain energy efficiency and this leads to a great saving of energy and money seeing the energy bill of the building reduced. Thermal insulation using one of the insulating materials offered by the market is a solution to restore comfort inside the home.